Summer is right around the corner, only 2 more weeks for us! While the weather hasn't shown us any indication of the heat that summer promises, I am already looking for cool treats. 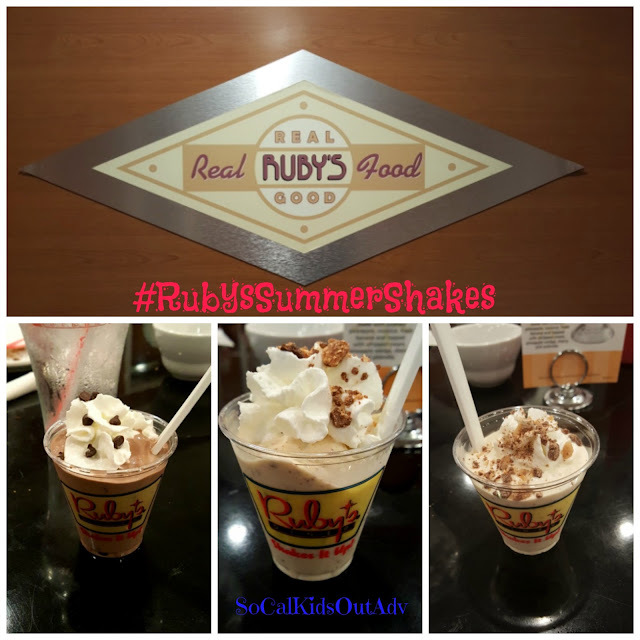 My family and I were invited to see the new shake menu at Ruby's in Long Beach and I jumped at the chance. Shakes seem to be a weakness for me. In fact, while I was pregnant with my 2 kids, that is all I craved. They need calcium, right? I had been to this location before although it had been a couple of years although I am not sure why we don't go there more often since it is only 10 minutes from my house. The atmosphere was family friendly and my kids fit right in. 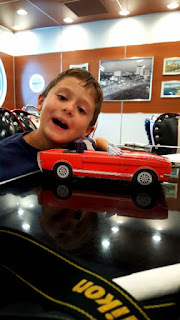 They loved the car food boxes that they put together for an impromptu demolition derby. 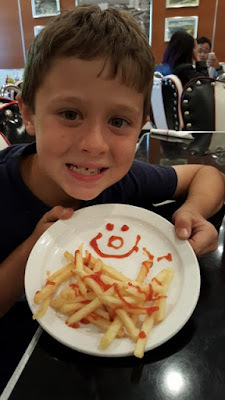 The kids menu was the typical hamburgers and chicken with apple slices, apple sauce or french fries. The kids ate it all in anticipation of the promised Ruby's shakes! 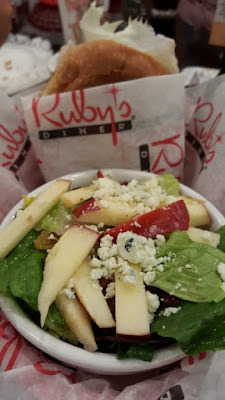 You probably know about Ruby's great hamburgers but did you know that they carry my favorite salad too? 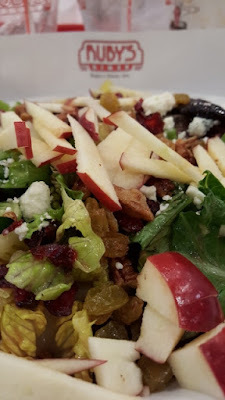 This Apple Pecan salad was perfect for my (trying)healthier choices. You can also substitute the salad for your fries if you want a little of both worlds. 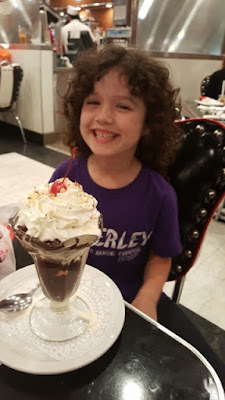 It was my daughters birthday the next day and Ruby's helped me to celebrate with an ice-cream sundae for her. Why, yes, she DID eat all of that ice-cream! YIKES! The rest of us tried three sample of shakes. The first sample was Double Dark Chocolate shake. 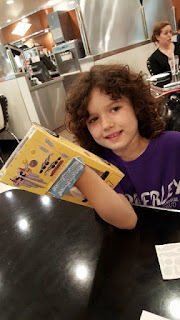 While I loved it, my son thought the Kit Kat shake that came next was even better. Love Heath bars? 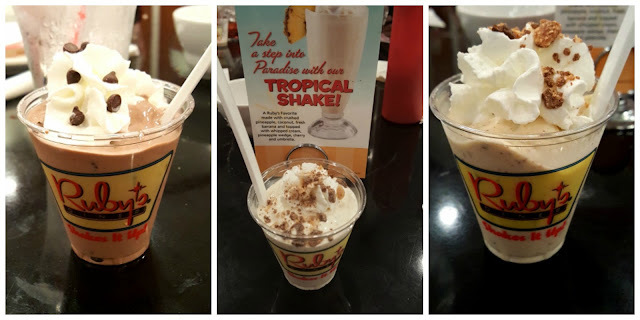 The last shake had the crumbles topping the shake. I would say it was a good night all around. The food and atmosphere was relaxed and reasonably priced. The kids were able to be kids(within reason) without getting dirty looks and everyone sang happy birthday to my little girl. Who doesn't love shakes? 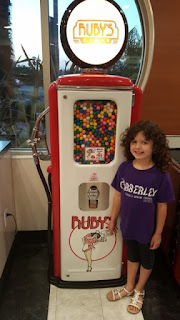 Don't forget to keep Ruby's on your radar when you need a sweet treat to cool off or surprise the kids. DISCLAIMER: I was invited to a media event where my meal was comped. All thoughts and ideas are my own. Do not use any photos without permission. I could really go for a shake right now. 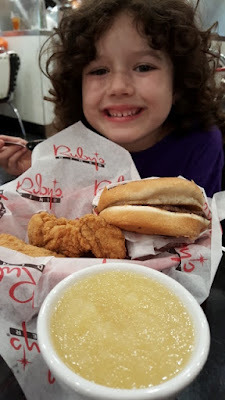 I love eating at Rubys.